As usual I have some catching up to do with my reality shows so this episode recap of "The Houstons: On Our Own" will be for episodes four and five. Bobbi Kristina is still grieving her mother's death and while the whole family goes out to Los Angeles for the BET awards where a tribute for Whitney Houston will take place, Krissi and her fiance/brother Nick Gordon decide to stay back in Atlanta and skip out on the awards show. Krissi is pissed because the entertainment world mocked and talked crap about Whitney while she was here and now that she is gone, they want to honor her. Krissi said she didn't care about anyone who was going to be at the awards show so there really was no reason for her attend. While her Auntie Pat Houston and the rest of the family is in Los Angeles, Krissi and Nick decide to get tattoos. Krissi said "we want to do this for our mother". Yes, she really said the words "our mother" I couldn't help but laugh. 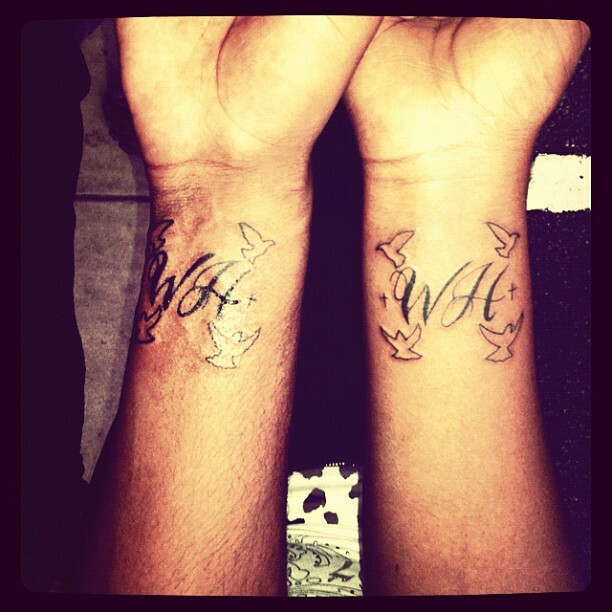 The couple decide to get the initials W.H. and four doves that symbolize themselves, Whitney, and Whitney's father who also passed away. Cissy Houston, Whitney's mother, attends sound check for the BET awards and she sings her little heart out. Everyone in the audience is wiping away tears as pictures of Cissy and Whitney flash on the jumbotron in the background. Krissi is acting strange throughout both episodes: slurring her words, eyes rolling to the back of her head etc. The family is concerned about her but no one is speaking about the obvious fact that Krissi is on something. Instead, they keep referring to Krissi not grieving "correctly". If this is a reality show, let's keep it real and call a spade a spade. Krissi needs rehab a.s.a.p. and they might as well ship her fiance off to the rehab clinic right along with her. What did you think of episodes 4 & 5 of The Houstons? Do you think that the family is in denial about Krissi's real issues?